Ivy Yoder is the oldest daughter in her family and she is still single. 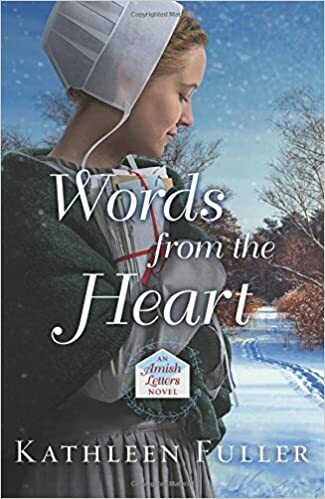 She feels like is destined to be alone when she met a charming young Amish man who promised to write her but never did. Stung by his broken promise and her lack of prospects, she is delighted when a quirky older woman asks for Ivy's help. However, the task comes with one eccentric requirement; both she and Cevilla's nephews must do the chore together. Noah Schlabach is Cevilla's beloved nephew and is dedicated to his family. When, his aunt asks him for help, he doesn't hesitate to agree even with the weird requirement of working with Ivy. He works as an auctioneer and is also excited to see if can unearth any antique items. The duo comes across a pile of mysterious love letters written during the Korean War. They find themselves entranced by the couple even when they both believe they are destined to be alone. Will Ivy and Noah learn to put the past behind them and fall in love? Why did Cevilla ask them to work together? Why were the letters hidden away? If you are a fan of Kathleen Fuller or Amish romances, you will enjoy this novel. Fans might notice characters from her previous novels. I found the story an engaging and delightful read while eager for the couple to find their path. A definite treat and I can't wait to read her other novels.